Super Bowl fever has officially hit Atlanta, and I am thanking my lucky starts that I don’t live in the thick of it! While we are not going into Atlanta unless the federal government requires a forced evacuation of the mountains. Seriously, you couldn’t pay me to go into Atlanta this week! Even if we have absolutely no intention of getting in the middle of the chaos, that doesn’t mean the Momleficent clan is going to pass up a perfectly good opportunity to do some quality theming! 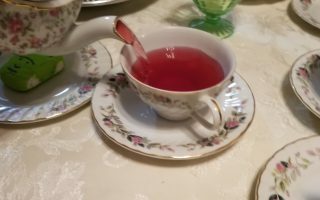 I’m so excited that a reader requested this post, so here you go! I decided to go with a low stress party spread for a small Super Bowl party. 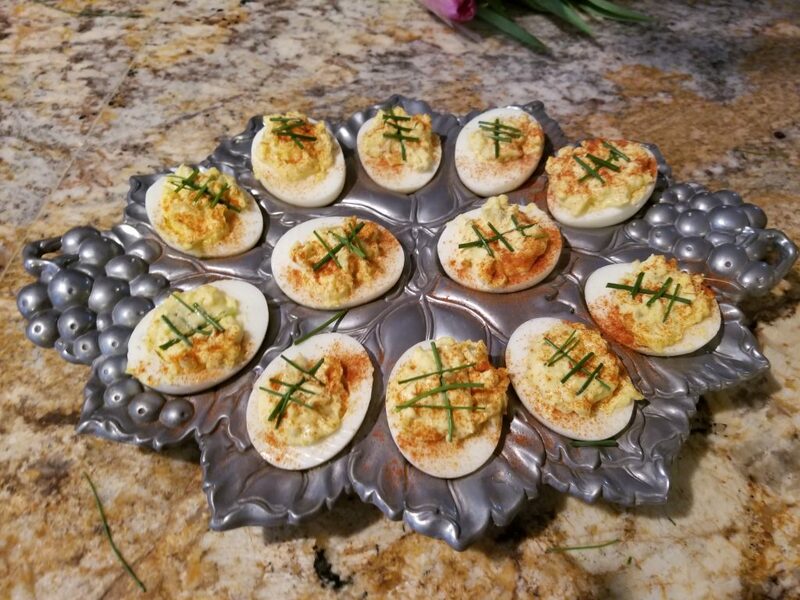 I included several recipes that I turned into little footballs, and then some standard football and party fare. The key to any good party is a few highly themed dishes surrounded by easy to eat, related dishes. So for example, I wouldn’t have served quiche for this party, I stuck with fan food. I also made very little of it from scratch. When you are hosting, there are so many things that you need to accomplish, the food should be the fun task, not the taxing one. This year, we are going small scale. 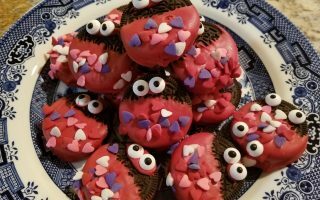 I am going to make some fun dishes for the kids and Papa Bear that are fun, tasty, and easy to pick up and eat while we are watching the game (and that won’t stain if they eat on the couch!). 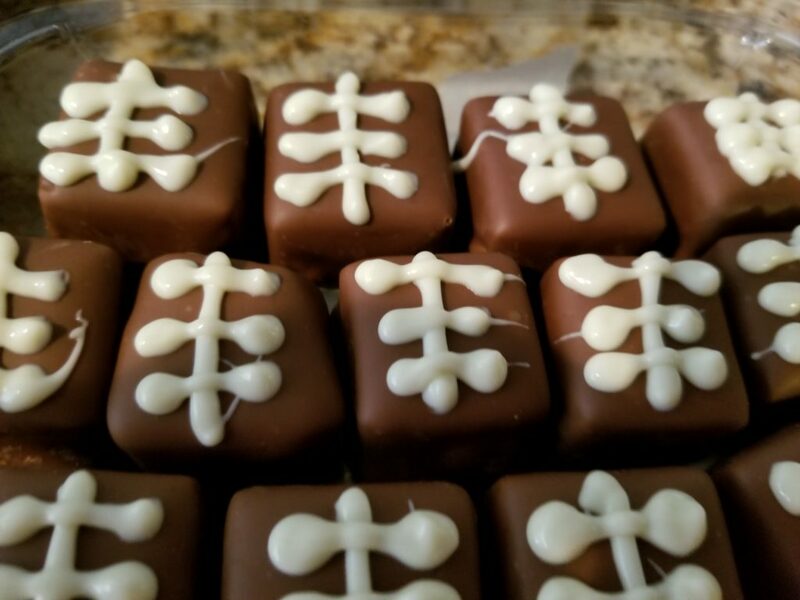 This year’s menu includes a hearty spinach dip, buffalo chicken and mini beef burger sliders, jalapeno poppers, football deviled eggs, milk chocolate truffles with football hashes, and football chocolate covered strawberries. So so easy! Sara Lee (not a sponsored post) has a new line of bread out that the kids and Papa Bear love. The artisano line is amazing – and now they have dinner rolls. 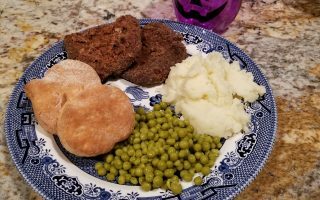 To make the sliders, I used their dinner rolls as buns – they are not split, so you will have to cut them to make the buns. To season the beef sliders, I use salt, pepper, garlic powder and Worcestershire sauce. Then cook to my desired doneness – which is well in our family. Slide the patties into your buns and top with cheese while they are still hot. The buffalo chicken sliders were super easy as well. I used Tyson’s precooked chicken strips (they are in your freezer section) and warmed them up. I placed them on the buns and topped with buffalo sauce and blue cheese dressing. So good! There is absolutely nothing good for you about those chicken sliders! Stack them on a large platter to serve. The spinach dip was super easy – one package of Knor seasoning mix, 1 container sour cream, 1 cup mayo (I use Duke’s in anything I cook that calls for mayo), 1 box chopped spinach, and 1 can water chestnuts – finely chopped. I don’t like huge clumps of spinach when I am entertaining, so I ran the water chestnuts and spinach through the food processer before adding to the other ingredients. Stir well and serve with chips. I had some left from the test bactch I made, so I am thinking that it is going to be a lovely filling for some stuffed shells when I add one more box of spinach. 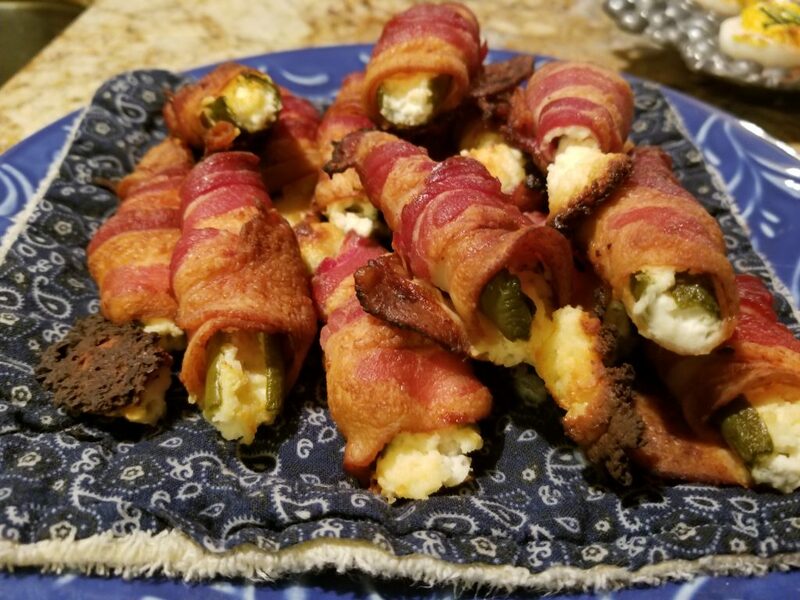 The jalapeno poppers are one of Papa Bear’s all time favorite things I cook, so I knew I had to make them. Get the full instructions for those here. Now for the dishes that will really make it a Super Bowl party. 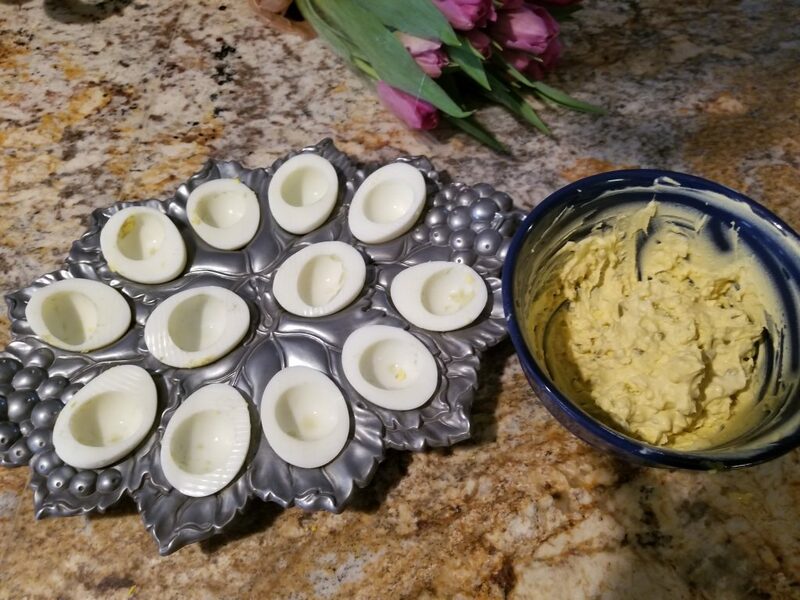 The deviled eggs are so easy, and pretty darn tasty. I don’t know about other regions of the country, but in the south, they are a staple. You simply boil the eggs until they are firm in the center – usually about 8 minutes after the water first boils. I use a table spoon of cream of tartar in the water to make sure that the shells slide right off without tearing the eggs. Half the eggs and place them on your platter, placing the yolks in a separate bowl. Mix ¼ cup mayo, 3 tablespoons sweet pickle relish and the yolks until creamy. Spoon into the egg halves and top with paprika. When I am not making football designs, I like to top the eggs with a slice of black olive. Today, we are going to use chives (my little one calls them chimes…cute!) that I have growing wild all over my yard. You can opt for store bought as well. Simply use a pair of scissors and cut the long middle length first, then the smaller cross hatches and place on the egg. All done. These don’t take long at all and you look like a slave to your kitchen! 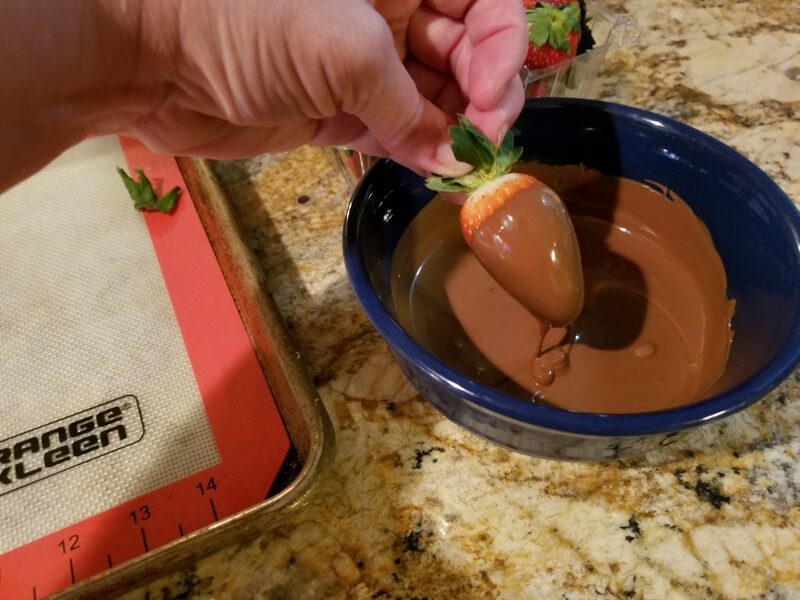 The strawberries and truffles were also super easy. I started the truffles with store bought ones that I found on the clearance rack at my local grocery store. Score!!!!! 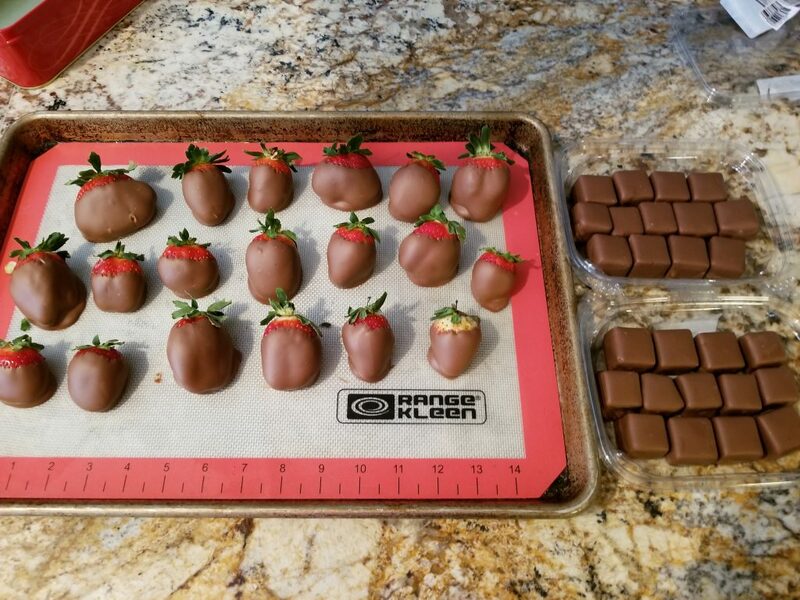 Since I am making similar designs on the truffles and strawberries, I went ahead and dipped the strawberries so that I could use my white chocolate accents in a single session. 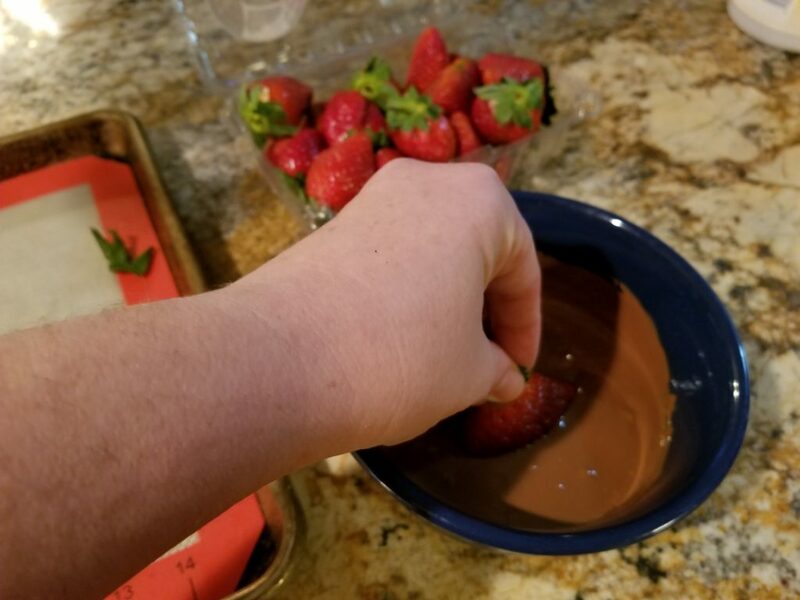 To make the strawberries, simply melt milk chocolate chips on 30 second bursts in the microwave, and fully dip the berries into the melted chocolate. 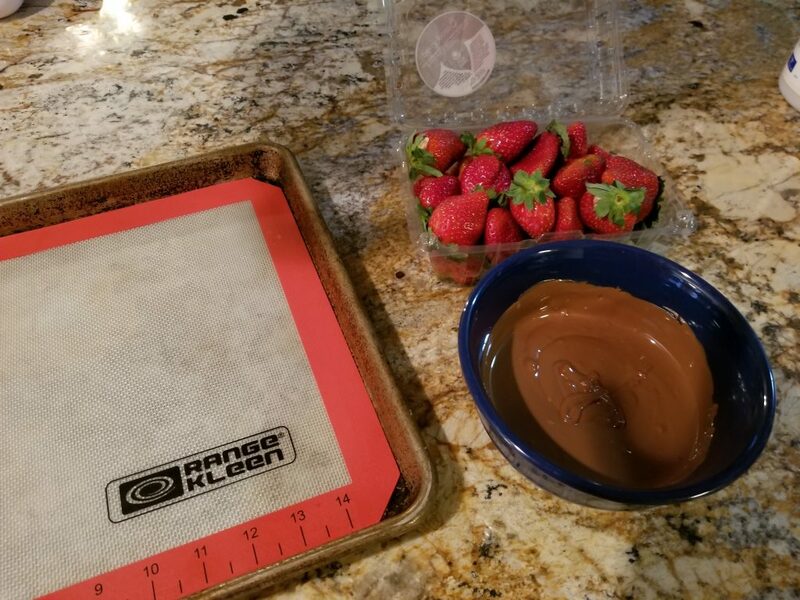 Put them on a cooking mat or foil lined cookie sheet to set. When you are ready to come back to your decorations, melt your white chocolate chips until smooth. These don’t take as long as milk chocolate and burns really easily, so be careful! Put your white chocolate into a piping bag and snip a tiny bit from the tip of the bag. Begin with the strawberries by piping the top and bottom white lines. 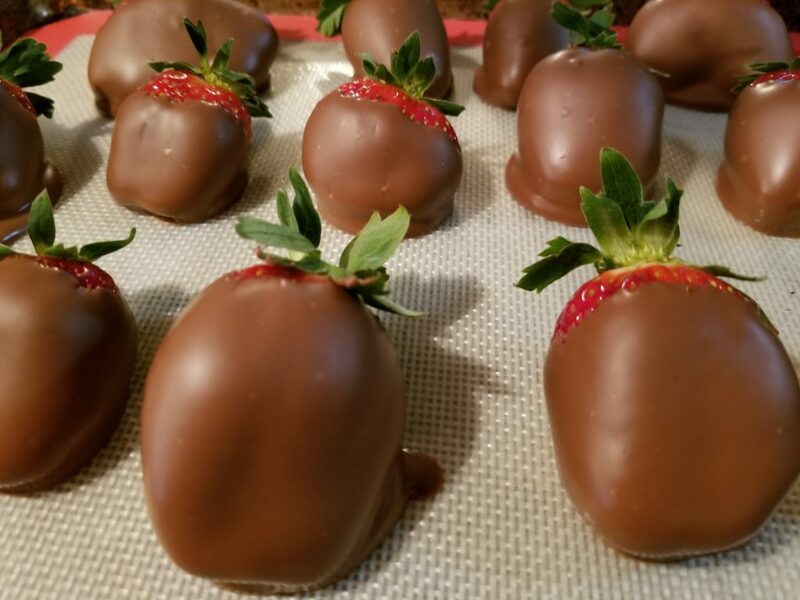 Come back to both strawberries and truffles and pipe the long seam first, then come over each long seam with three horizontal seems. Let them set in the fridge until hard. These can all be made up to a day before and stored in the fridge. 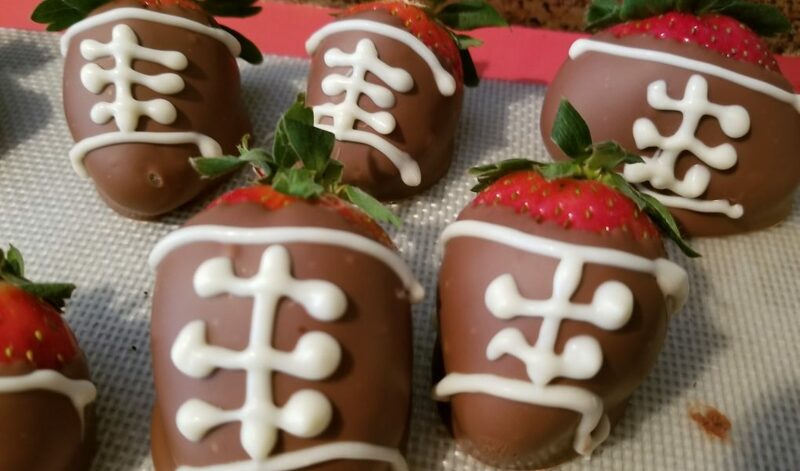 These recipes are so festive and easy, you have no excuses not to gussy up your own Super Bowl party with some special touches. 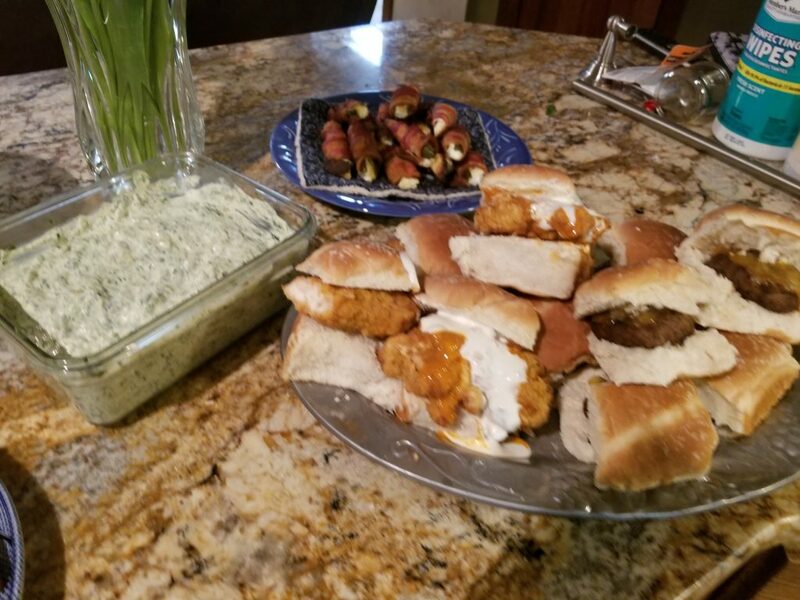 Every party doesn’t have to have a huge stadium snack display to be a huge success! 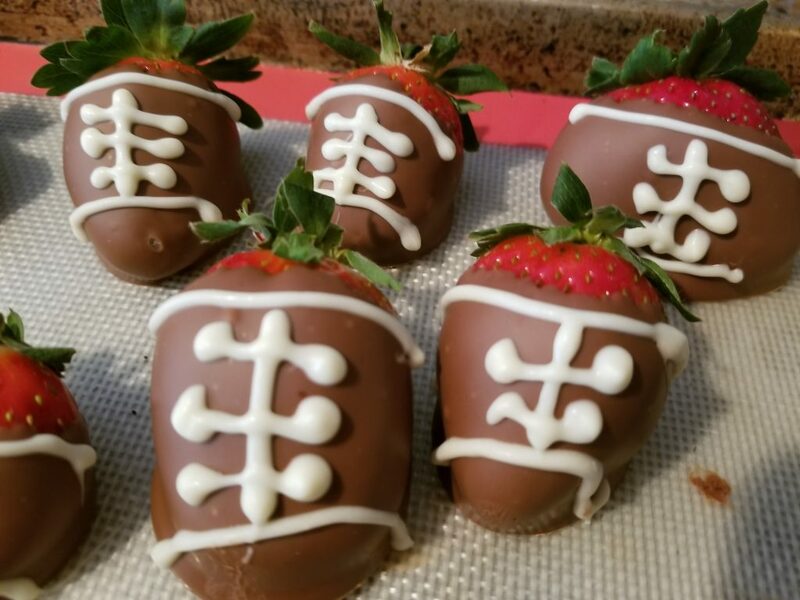 What is your favorite football fan food? I have to believe the Patriots are going to win, but I am mostly a Saints fan and in it for the party treats. Hahaha. My family and I aren’t into the super bowl. That being said, all this food looks fantastic. I love how it takes regular food and gives them that football spin to it. 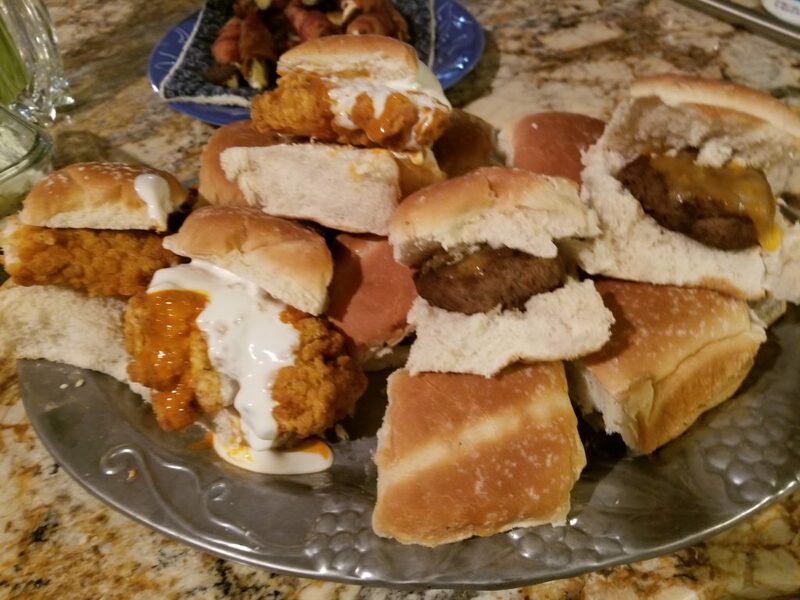 Those sliders look delicious. The kids and I are in it for the food. Only Pappa Bear is really into the game. The buffalo chicken sliders were really good, I wonder if they would be good with grilled chicken fingers.